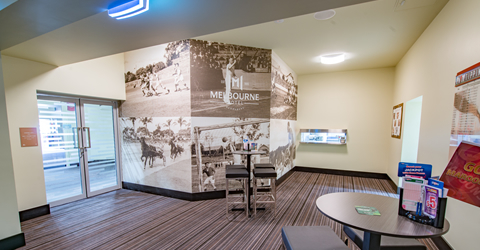 SJ Higgins Group was engaged by the ALH Group to upgrade the existing Melbourne Hotel including a new bistro, gaming area, commercial kitchen, garden lounge, DOSA and kids’ play area. 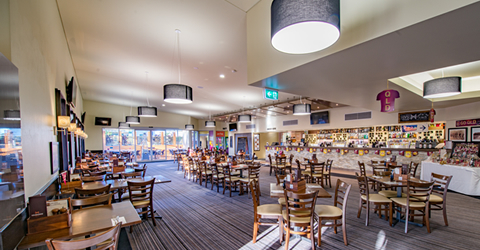 The existing pub was refurbished to include a new TAB bar, back of house, public bar and keg room. 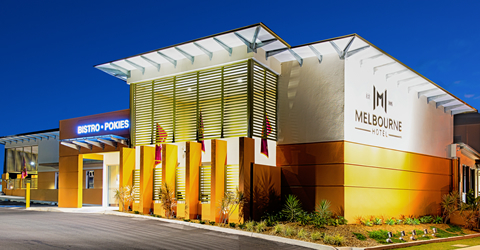 The project consisted of three stages to allow the pub to remain in operation during the construction works. The project comprised construction of two classrooms including extension for new activity areas to infill an existing undercroft area. A new quadrangle shade structure was designed and constructed over the existing campus quadrangle. The project also comprised design and construction of a new multipurpose roofed structure constructed over the existing multipurpose courts. As part of this stage the existing part of the hotel was demolished to make way for the proposed extension including a new gaming area, bistro, kitchen, food servery, bar, Dosa, kids’ playground and garden lounge. Internal demolition, repair and replacement of the existing heritage building damaged in the 2011 and 2013 floods. 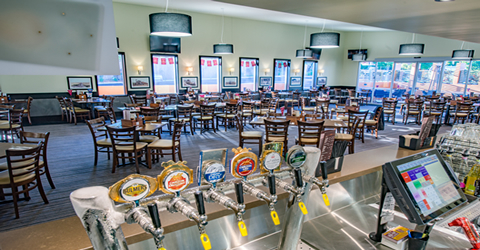 The existing bar was re-fitted, with the existing keg room modified and enlarged to service both the new bar/ TAB bar and the existing bar with a new underground glycol tap system. 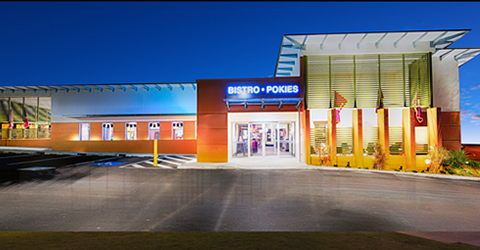 The TAB bar, which was closed down following the flooding, was completely revamped and fitted out with 85” TV screens and the latest virtual Keno Horse racing technology installed. 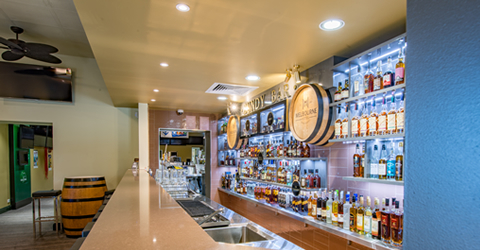 The existing public bar was fitted out with a beverage back of bar display that is second to none. It include half cut wooden barrels stuck to the wall and shelving that consists of over $6,000 of LED lighting.